Have you had a great experience with Scoopy Doo? Contact us and tell us about it. Do you have a suggestion to improve our service? Let us know. Would you like to display pictures of your pet to the world? Send them to us and we’ll give them the fame they deserve. Excellent level of service! Very impressive, responsible, reliable and inexpensive! Makes our pooch a happier, healthier pet! Keep up the excellent and friendly service! 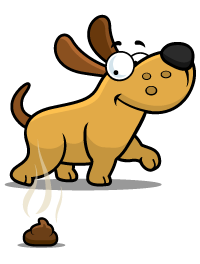 There are no more arguments in our home about doggie doo cleanup – that’s worth every cent! What I like best about Scoopy Doo is that they are genuinely concerned and care about dogs, and prove that with the service they provide. They give great customer service (something you don’t get a lot of these days). The service is excellent. We’ve been using Scoopy Doo for four years and are very satisfied with it. Keep up the excellent work. Don’t change a thing! Extremely efficient in all aspects! Keep up the great work! We’ve been thrilled with the service and ensuring the safety of Lexi, by keeping the gate closed and ensuring her health with all of your precautions taken! Excellent attention to detail, speed, efficiency, and courtesy. Excellent service fees, payment plans and ability. Overall service - Excellent. Since I have had your services I would (and have) recommended your company, and especially for people like myself who, being on CPP Disability, cannot do this type of job. When we decided to get two large Old English Sheepdogs, Scoopy Doo Services sounded like a great idea. They have been punctual, professional, and shown a true concern for the dogs. We couldn’t be more satisfied! I love never having to give a moment’s thought to dog poo! Haven’t touched it in years! Great Service! We love every Wednesday! Nice clean yard! Thank you!! You’ve made owning dogs so much better! I would like to say that your business makes it all the more easy having dogs, since we don't have to pick up the presents that they leave in the backyard. Keep up the wonderful work. Not only will I continue to use Scoopy Doo and share with my friends how awesome you guys are, but now I will also say that I'm even more impressed by your level of customer service. Why am I making such a big deal about service? Because far too often it is lacking.  If you refer Scoopy Doo to someone who signs up for our regular weekly services, you will receive one free cleaning for each referral! There is no limit to this referral program! Once the referred customer pays their first invoice, your account will automatically be credited one free cleaning!